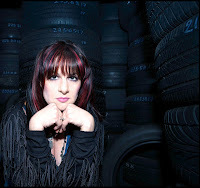 Dawn Botti epitomizes the phrase “it’s never too late.” Her band New Day Dawn is about to release their new EP Rise Above This on March 5 and after will head down to Austin, TX to perform at SXSW for the second year in a row. She’s a Jersey-born authentic "rocker chick" in style with Chrissie Hynde, Pat Benatar and Grace Potter. She’s been writing, playing and singing rock music for most of her 43-year-old life. Botti never stopped trying to “make it” nor does she intend to stop trying “make it” as a full-time musician - even while juggling her “other” career as a top level entertainment attorney and her roles as wife and devoted mother to a rambunctious 7 year old. Rise Above This features a different sound and direction for her band , which is a direct reflection on Botti’s recent decision to take a different direction and outlook on her life. Musically, Botti describes Rise Above This as “anthemic rock, with big, bold choruses.” This is due, in a large part to working with producers Chris Henderson of 3 Doors Down and John Moyer of Disturbed and Adrenaline Mob. Greg Upchurch (3 Doors Down) and Bobby Capps (.38 Special) also make guest appearances on Rise Above This. “Our sound is evolving a lot right now. It was great recording in Nashville at Rivergate Studios and the new influences it brought out in the music,” comments Botti. “We've already got a full album of new songs to record but we couldn't let any more time go without releasing something, so we decided to put out a five song EP instead,” she continues. Just to give an idea of how much their sound has evolved, Dawn recalls Bobby Capps ; keyboardist for .38 Special and co-owner of Rivergate, coming by the studio when they were recording one afternoon and asking if he could “sit in” for a session to play keys on “Lay Your Head,” which is on the new EP. “I was so honored and humbled by that request. I grew up playing the records of .38 Special in my bedroom, singing into a hair brush and pretending I was on stage. Now his talent is actually captured on one of my own songs! Who says dreams can’t come true? If I had given up and thought “it was too late” this would have never happened,” Dawn shares. Rise Above This is obviously also very autobiographical. This wasn't the first time she'd made the hard choice to follow her dreams and she knew it wouldn't be the last. New Day Dawn isn’t Botti’s first taste of rock success either. Her previous band, Slushpuppy, received airplay from Matt Pinfield on NYC’s K-Rock (WXRK 92.3FM), when it mattered and would regularly sell out shows at the legendary CBGBs in New York City, also when it mattered. Slushpuppy caught the ear of a number of record labels but ended up breaking up in 2003. Shortly thereafter their bassist, Cory Baker, committed suicide. A year later Botti formed New Day Dawn but quickly had to put it on the back burner when she became pregnant with her son. The band started back up in earnest in 2006 and released their first full-length album, The Company We Keep, in 2008. “The Company We Keep sounds a lot more like the stuff I wrote for Slushpuppy. 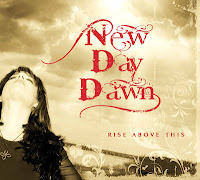 Rise Above This is definitely more of what New Day Dawn is all about,” Botti concludes. New Day Dawn is Dawn Botti on vocals and guitar, drummer Gary Szczecina (also Botti’s husband), guitarist PJ Angeloni and bassist Mike Smith.